Greece offers many opportunities for investments in the sector of renewable energy sources, but the majority of these investments are relevant to installation of photovoltaic (PV) systems. In the past, there was a reduction in feed-in tariffs (FIT) which lead to a reduction in investments in new photovoltaic projects. Entrepreneurs are now more interested in investing in PVs that are already connected to the main electricity grid. Investments in this form of PV installations are very popular in Greece due to 2 main reasons: these installations offer higher tariffs comparing to other European countries, and Greece is country with prolonged sunshine. Nevertheless, investing in a new PV project (planning, designing, installation) is still an appealing idea. More specifically, large projects (more than 5MW) attract the investors’ interest. The installed capacity of the roof-top installations is 327.7 MWp. In this case, the owner of the installation sells the produced energy to the Public Electric Energy Supplier and he gets the equivalent tariff. The system of Net-Metering is going to be introduced. In the near future, the Greek public authorities are issuing a Ministerial Decision which will calculate the offset of the electricity usage. The net metering mechanism is a favorable tool for owners of smaller installations. The net metering systems allows all the residential consumers to use the energy produced from their own PV systems and at the same time the net metering system sends the extra energy back into the grid. The consumer can compensate the energy produced from PV systems with the energy he got from the grid. Guaranteed profit for 20 years. It should be noted that there was a reduction of tariffs for installations connected to the grid, but on the other hand there was also a parallel increase of contract duration with the power supply company (the new duration is now 7 years). Low taxation (compared to other countries’ tax) leading to higher profits. High rate of sunshine with average values 1300-1450 KWH/KWp. These values are even higher in Southern Greece. 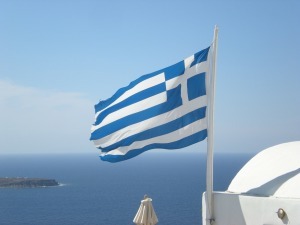 More simplified and clear licensing procedures, which give the investors the necessary feeling of security to continue their investment in Greece. Entrepreneurs, who want to invest in materialization of a large PV project, should check the possibility whether their business proposals are eligible to be included in the procedure of the law “Acceleration and Transparency of Implementation of Strategic Investments” (Law 3894/2010). This law aims to accelerate permitting procedures of large projects. The official promoting agency is the public organization “INVEST IN GREECE”. The attention of the Greek government now is to diminish bureaucracy and speed up the licensing procedures so that more large investments take place in Greece. Another parameter that affects the general considerations about a PV project, is the price of property where the PV system will be installed. During the last years, the property prices have fallen by 40%. In some other cases, the reduction was even bigger and it reached the percentage 70%. The prices to rent a property have also fallen. If the entrepreneur wishes so, he can rent a property to install his PV park, instead of buying it. The amendments in legislation created a business friendly environment. Now, entrepreneurs can establish their own businesses within couple of days, through the One-Stop-Shop process. KPAG and its high-expertise staff can help you with all the procedural steps that are required to establish your company in Greece. KPAG provides you with advice on legal and tax issues and with issues that regard communication with the local authorities. We have long experience and extensive know-how in professional and strategic management, therefore we are capable of supporting the whole project from the first step (setting up a business in Greece) to the final step (full operation of the business).